Dr. Cha accepts the following list of insurance providers. Select your insurance provider to see more details. I am a surgeon who cares for people with urologic cancers and have particular experience in treating bladder cancer, kidney cancer, and prostate cancer. 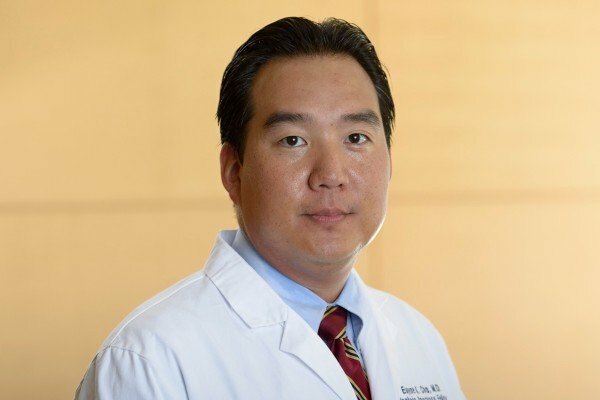 I specialize in minimally invasive surgical approaches for bladder cancer, kidney cancer, and upper urothelial cancer (cancers that arise in the renal pelvis and ureters). I have been caring for people at MSK since 2015. I perform approximately 600 procedures each year. When patients first meet with me, my goal is to give them as much information as possible to ensure that they feel informed and confident about making decisions related to their care. I give them an honest assessment of their prognosis and take the time to explain their options. We also talk about what they can expect in terms of recovery after treatment. Together we weigh the risks and benefits of each approach, taking into account their individual preferences. I strive to leave my patients feeling hopeful and comfortable that they are making the best decision. My research includes evaluating new treatments for people with bladder cancer in clinical trials. I am co-principal investigator of a trial testing a targeted therapy for early-stage bladder cancer. I also help carry out other studies to improve the surgical and recovery experience and cancer outcomes for people whose bladder is removed. In addition, we analyze the DNA of patients’ tumors when the specific mutation profile of a tumor might influence their eligibility for a clinical trial or their treatment options. I enjoy the outdoors and spending time with my family and friends as often as possible. Visit PubMed for a full listing of Dr. Cha’s journal articles. Pubmed is an online index of research papers and other articles from the US National Library of Medicine and the National Institutes of Health.